Lighting today has to cater to diverse requirements: high brightness, reliability and long life, rendering of color, and most importantly, energy conservation. Spearheading this revolution is LED ambient lighting, which is one of the most efficient technologies that are available today. The light emitting diode (LED), primarily a semiconductor source of light, appeared in the early 1960s. Though they initially emitted only red light with a low intensity, modern LEDs emit very bright light across the visible, ultraviolet and infrared spectrum. LEDs are increasingly used because they have as much efficiency as fluorescent lighting, their flexibility is comparable to halogen and incandescent lamps, and they last much longer than any of these. LEDs have a typical life of 50,000 to 100,000 hours. However, to enable LEDs to achieve this life-span, their operating temperatures must be maintained within specific limits: commonly 90 degrees Celsius. The management of heat can be achieved through passive means by using heat sinks or by actively cooling the LEDs during their operation by using fans or air pumps. A common material that is used to build heat-sinks is aluminum. This is because it is cheaper than copper and can be easily recycled. However, in recent times ceramic material is being increasingly used for heat dissipation purposes. Advancements in ceramic technology allow direct bonding of LED light engines and the required circuitry to the ceramic heat sinks. Many thermal barriers that can reduce the cooling are removed because of this bonding. Moreover, ceramic is available in plenty, has a low production cost, and a low carbon footprint when compared to aluminum. They are easy to dispose when their life ends and are safe for the environment. Whereas a metal substrate can create the risk of electric shock, a ceramic substrate is fully insulating. 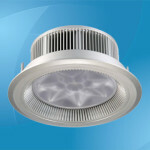 Ceramic LED bulbs are becoming more popular in residential and commercial applications. 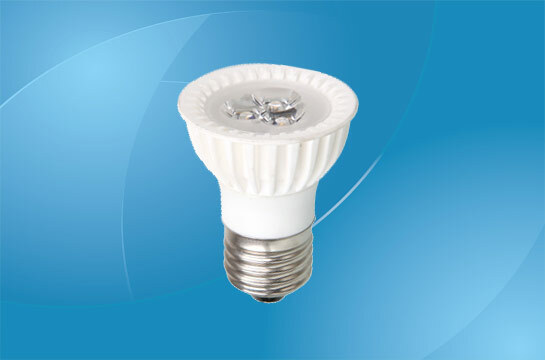 Modern ceramic LED lamps of the same size are available in a range of wattages, brightness and other performance characteristics. Ceramic LED bulbs are used for outdoor applications such as traffic signals or pavement lighting. If the LEDs get too hot, signal intensities are known to reduce or even fail. They are also known to have a more even lumen distribution which is particularly advantageous in outdoor lighting because shadows are less prominent and color rendering is superior compared to HPS or metal halide lighting. Ceramic LED bulbs emit less heat than their incandescent counterparts and hence increase energy efficiency of equipment such as freezers and refrigerators. Ceramic LED bulbs are available for common household lighting purposes that easily fit into existing fixtures. Their cost varies between $7 and $10. LED 60-watt bulbs with a ceramic base are more common. 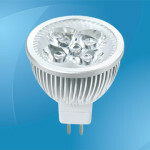 LED bulbs are also available in 2.5W, 3W, 5W and 6.5W options for domestic use. Ceramic LED spot lamps with bulbs are used in shop windows for effective display of objects. They can be used in kitchens and washing rooms as well. Ceramic LED bulbs are being increasingly used for safety lighting purposes where they are required to be used for long periods from battery sources.